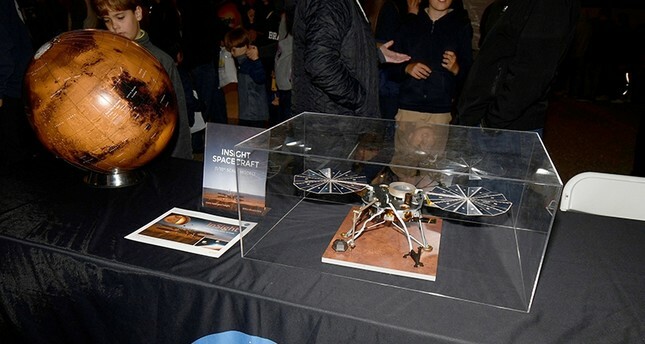 The U.S. space agency NASA said Friday it plans to launch the first-ever helicopter to Mars in 2020, a miniature, unmanned drone-like chopper that could boost our understanding of the Red Planet. Known simply as "The Mars Helicopter," the device weighs less than four pounds (1.8 kilograms), and its main body section, or fuselage, is about the size of a softball. It will be attached to the belly pan of the Mars 2020 rover, a wheeled robot that aims to determine the habitability of the Martian environment, search for signs of ancient life, and assess natural resources and hazards for future human explorers. Mars 2020 is planned for launch in July 2020 with an arrival on the surface of Mars expected in February 2021. "NASA has a proud history of firsts," said NASA Administrator Jim Bridenstine in a statement. No nation has ever flown a helicopter on Mars before. The undertaking began in August 2013 as a technology development project at NASA's Jet Propulsion Laboratory. In order to fly in Mars' thin atmosphere, the space helicopter has to be super light, yet as powerful as possible. Engineers built the copter's twin, counter-rotating blades to "bite into the thin Martian atmosphere at almost 3,000 rpm -- about 10 times the rate of a helicopter on Earth," said a NASA statement. The helicopter is equipped with "solar cells to charge its lithium-ion batteries, and a heating mechanism to keep it warm through the cold Martian nights." Controllers on Earth will command the Mars Helicopter, which was designed to receive and interpret commands from the ground. Due to the vast distance between Earth and Mars - some 55 million kilometers - operators will not be able to steer the helicopter in real time. Instead the aircraft will have "autonomous capability that will be able to receive and interpret commands from the ground, and then fly the mission on its own," NASA said. NASA views the copter as a "high-risk, high-reward technology demonstration," it said. If successful, it could be a model for scouting on future Mars missions, able to access places the human-built rovers cannot reach. If it fails, it will not impact the Mars 2020 mission. "We already have great views of Mars from the surface as well as from orbit. With the added dimension of a bird's-eye view from a 'marscopter,' we can only imagine what future missions will achieve." The Mars 2020 rover is scheduled to be launched from Cape Canaveral, Florida in July 2020 and expected to reach Mars in February 2021.